I’m doing something crazy! 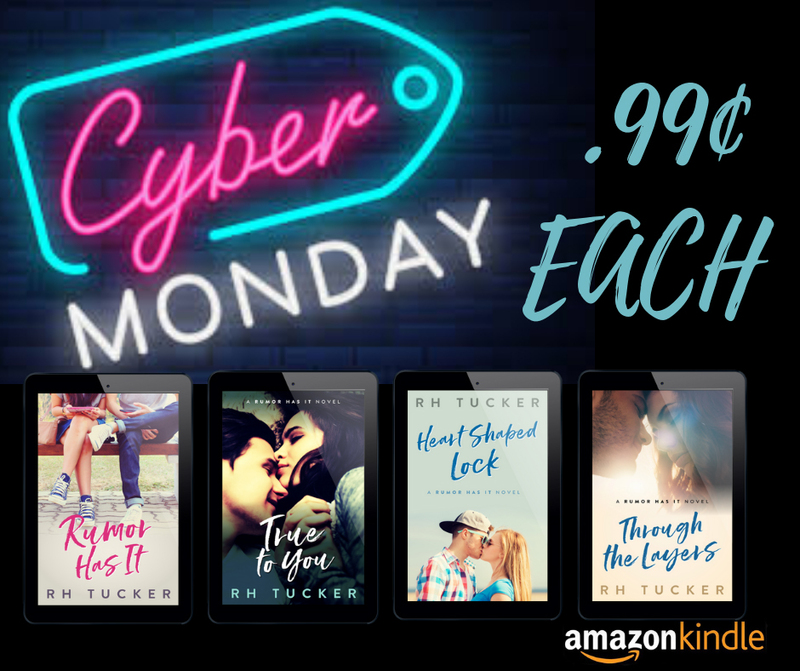 All four of my full-length novels; Rumas Has It, True to You, Heart Shaped Lock, and Through the Layers is on sale for only .99 cents! If you’ve been waiting to read the Rumor Has It series and have it on your TBR, have a couple of them but not the entire series, or just know someone who might enjoy them, go download them! This price won’t last long! With the exception of Heart Shaped Lock, the ebooks are on sale on amazon.co.uk too! One Week Until Through the Layers and SALE!!! The next two weeks are going to be crazy! First off, Through the Layers will be available in ONE WEEK! I’m SUPER EXCITED about this story. Some readers have emailed and messaged me, and I really hope you guys like Micah’s story. I posted in Instagram a fear I have, which is, if you didn’t like Heart Shaped Lock, you might not like Through the Layers. But if you did like HSL, then I think you’re going to love TTL. I love Micah and Veronica’s story. Every character has a little piece of me in them, and Micah and Veronica are no different. Be sure to follow me on IG, because I’ll probably be talking about that a little more over there. Through the Layers will be $2.99 as a release week sale. After that, the price will go up. So if you download the books, be sure to download it the first week, because it will go up. Speaking of sale, Rumor Has It is ON SALE this week for only .99 cents! This will be the last time this year Rumor Has it will be on sale, so this is the perfect time to take advantage of the price. 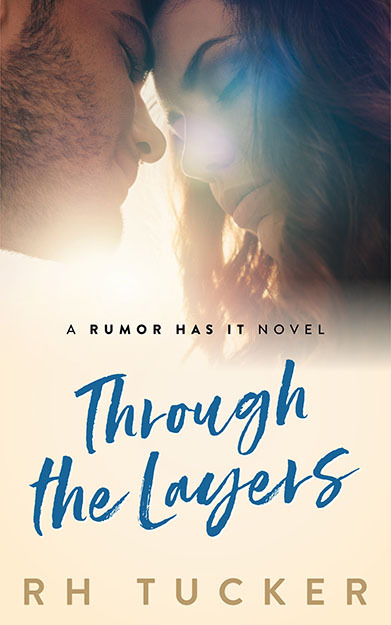 I also have a book blitz coming up, during the release week of Through the Layers. I’ve never done one of these so I’m super excited for it, but also super nervous. Xpresso Book Tours is organizing the blitz, so if your a book blogger that would like to partake, please visit the website here. Second chances are for suckers. Micah’s heard that expression before. With his first year of college in the books, catching his girlfriend cheating on him—again—he learns that lesson firsthand. The girl he thought could’ve been his high school sweetheart, turns out to be nothing more than a liar, completely destroying his trust. No one has ever called Veronica fat. Thick? Okay. Curvy? Sure. However, they’ve never come right out and told her she’s overweight. Not unless you count the kids in third grade who called her roly-poly. Grade school or freshman year of college, it doesn’t matter. Guys usually go for the tall, thin girls. Girls like Micah’s ex. Despite their hang-ups, and their pasts, Micah and Veronica find something in each other that quells their concerns. But when old faces return, and unsettling truths are revealed, will either of them be able to work through the layers and find one another again? Through the Layers is part of the Rumor Has It series and can be read as a standalone novel. Series Note: Starting with Book 4, the Rumor Has It series deals with mature themes and situations. 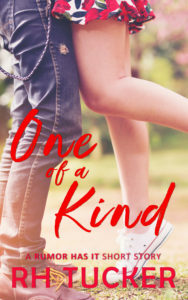 One of a Kind is a short story that takes place a year before Rumor Has It, and it’s finally available! So, remember Emma talking about that cute boy she liked her junior year, Paxton? (What’s that? You haven’t read Rumor Has It? What are you waiting for?! It’s available on Amazon and free to read with Kindle Unlimited!) Anyways, Paxton was barely on two pages. But as soon as I wrote that small scene, I knew I needed to write a little more Paxton. So I did! This short story takes place before Rumor Has It and offers no spoilers for any of the books that are out. And it is not going to be for sale. One of a Kind is exclusive to newsletter subscribers. You can sign up for my newsletter here and read it today! Paxton Humphries is Woodbridge High’s resident emo-art freak. He’s heard every barb and insult in the book and has learned to roll with the punches. Literally. His best friends know who he really is and that’s enough for him. Sure, it’d be great if braggadocious jocks like Will Jones didn’t make fun of him or always get the girl. Especially incredibly smart and cute girls, like Desiree Williams. A girl he was just about to ask out at the beginning of the year, before Will beat him to it. Desiree tells everyone Will is nice. And he was, er, is. He can be nice. She should be happy, dating one of the most popular guys in school. So why has she found herself feeling much more comfortable talking and laughing with Paxton during their class, than when she’s actually with her boyfriend? And why can’t she stop staring at his lips or that lip ring? One of a Kind is exclusive to newsletter subscribers. Sign up here and read today! Rumor Has It Box Set – NOW AVAILABLE! Piece by Piece – OUT NOW!